Is there anything more rewarding in music fandom than following a band's journey from very good to truly great? I've been touting Beach Patrol since 2006 - when the Green Bay then-trio debuted with a release I ultimately named my album of the year. A full decade later, Eudaimonia was one of my favorite long players of 2016. The band's growth over that ten-year period was staggering. It was Eudaimonia that convinced me that Domenic Marcantonio had become one of our finest present-day songwriters. I knew he would be challenged to top those songs. But here comes the new album Levity, and all I can say is wow! Levity was recorded back in October 2017 at Westmont Station - Pete Donnelly's home studio near Philadelphia. Taking Donnelly up on a long standing offer to record Beach Patrol, Domenic and drummer Preston Ely made the long drive to the East Coast and knocked out the album in just two days. With Donnelly producing and filling in on bass, Levity was recorded entirely in single takes with no overdubs. At a lean eight tracks, this easily stands as Domenic's strongest collection of songs to date. The irony is that if you heard Beach Patrol back in 2006, that is when you might have suspected Pete Donnelly was producing! Here Donnelly's influence is more limited to his recording expertise and always-stellar work on the bass. 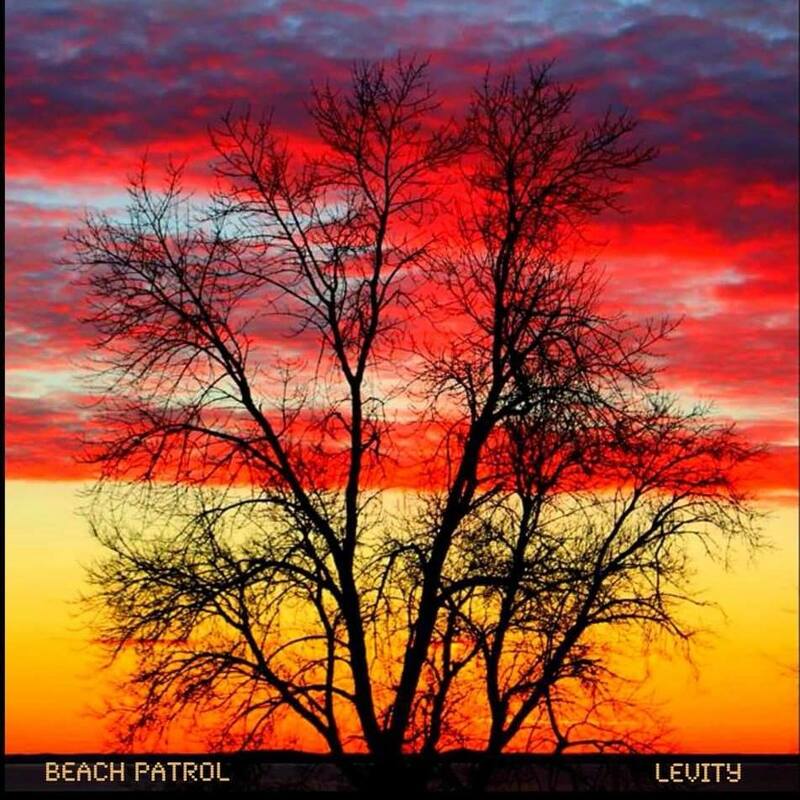 Beach Patrol has honed its own style and sound over the years, and Levity is the work of a seasoned rock n' roll band at the peak of its craft. If I was going to compare the songwriter Domenic Marcantonio was back in the earlier 2000s to the songwriter he's become today, that would be easy to summarize. Back then, he wrote great power pop songs. Now he just writes great songs, period. He can still write a hook like nobody's business, and he remains faithful to the timeless art of the three-minute pop song. Yet what is most impressive is how he uses this musical form to truly say something. He never writes a throwaway. Every song offers something clever or insightful or pertinent to his life experience. On this release he comes off a little like a modern-day counterpart to the Elvis Costello/Graham Parker/Joe Jackson triumvirate. Except he's not so much angry as he is full of practical wisdom. "Don't Panic" is upbeat rockin' pop serving essential life advice. The Parker-esque "Get It Together" is a reminder that complaining about our problems often blinds us to our many blessings. Domenic revisits a similar theme on the self-reflective "Nerve" - the ultimate statement of a band that has come to accept and truly appreciate its place in the world. And the music on this album proves to be every bit as engaging as the ideas. Opening track "Clown" pairs an instantly classic lyrical couplet ("I'd be a clown for you, baby/But please do not mistake me for a fool") with a melody you'll be humming for weeks. "Just As I Suspected" ought to have you lookin' sharp and heading for the dance floor, with Donnelly ably playing the Graham Maby to Domenic's Joe Jackson. Donnelly even pulls out the standup bass on the dramatic and soulful ballad "Hands At Love". This is the album's high point - a showcase for just how far Domenic has come as both a songwriter and a singer. Listening to Levity, I'm somewhat stunned that it was all recorded in single takes. It doesn't sound rushed, and the band could not be any tighter (there are certainly advantages to a guitarist and drummer playing together for nearly half their lives!). I've never found a Beach Patrol recording to be lacking energy, but Donnelly's recording approach probably gave the band even more punch in the studio than usual. This was the first record where I really noticed what incredible chops Domenic has developed on guitar. Just about every song on this record is driven by a unique and memorable guitar riff. 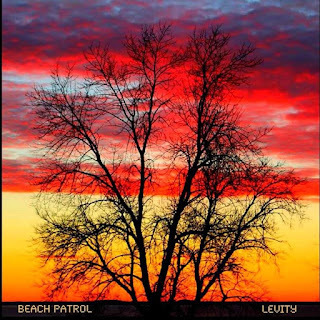 I just love how the rockin' and melodic sides of Beach Patrol work in such perfect harmony here. It's not every day that a band has the chance to make a record with one of the greatest pop/rock n' roll minds of our time. Clearly these guys seized the opportunity. Hands down, this is the best Beach Patrol album yet! Credit to Paula Mortimer for allowing the band to use her "Beautiful Lake Winnie In Quinney American Flag Sunset" photo on the cover. Isn't it amazing? !